The auto Finance Department at Alexander of Albertville is here to help get you a great deal on a new or used car loan in Albertville, Alabama. 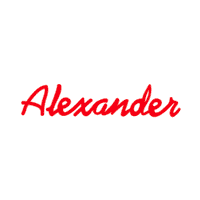 Alexander’s finance team is ready to help create the financing plan that works best for you and your budget. We’re here to make it as easy as possible for you to get behind the wheel of a new or used Chrysler, Dodge, Jeep, Ram vehicle. You can save time at the dealership with our online auto finance application and even get an idea of what your payments will be with our auto loan payment calculator. Alexander’s finance experts work with various financial institutions to get you the best terms on a car loan for a Chrysler, Jeep or Dodge in Albertville. And for added savings, be sure to view our rotating Chrysler, Dodge, Jeep, Ram offers and incentives. We can help students with no credit history, or those who have hit a rough spot and now have credit problems. We can customize a car loan program to your needs. Contact us today, or visit our showroom in Albertville near Fort Payne. Our financing experts are standing by to assist you with all of your auto finance needs!